Article about the Importance of Paying Attention to Your Dreams. This Tuesday at 8-10PM EST, we will be welcoming back our dear friend Bambi Corso. She is a dream worker, life coach, and author. Bambi has been working for over 35 years on dreams, Bambi is a member of The Association for the Study of Dreams and is currently writing a book on her own innovative method of dreamwork which will teach people how to integrate dreams into their daily life as a practice in awareness and consciousness. So be sure to call-in and get your dreams analyzed! Our guest is Bambi Corso and she will be discussing Healing Dreams. She is a dream worker, life coach, and author. Bambi has been working with dreams for over 35 years. Be sure to tune in and let Bambi show you the beauty of every dream’s journey. So call in and get a mini dream analysis! This will be a show you will not forget! Host Jeffrey R. Pierce and Co-Host Ariel Pierce from The Spirit Walker Show interview Bambi Corso about Dreams and Dreamwork including subjects such as How to Remember your Dreams, How to Journal your dreams, and so much more. 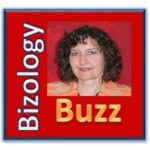 In this interview with Donna Price, the host of BizologyBuzz: The Business Buzz and Business Success Coach, Bambi Corso, Life Purpose Specialist, will join the conversation for entrepreneurs, bringing in a much neglected tool, intuition. Many business owners use intuition in their business without realizing it, but others neglect this valuable asset and fail to recognize the insights they have. Bambi will share strategies for tapping into your inner wisdom and using it in your business and in your life. In this interview with Scottie Johnson of the Just Imagine That! talk show, our subject was dreams and dreamwork. Learn tips for remembering and journaling your dreams, as well as how to use them to tune into your own inner wisdom and guidance. Interview located at Why a Spiritual Life Coach is So Important! My Interview with Bambi Corso, by Kathleen Lamoureux. In this interview with Lexie Moon, Outrageous Attraction Coach, we discuss Dreams, and how to use them to empower you to be a catalyst to your own transformation. I share many tips for remembering and journaling your dreams as well as ways to work with dreams to get the most out of them.